Thanks to Gez at stardotstar for sending me this pic. 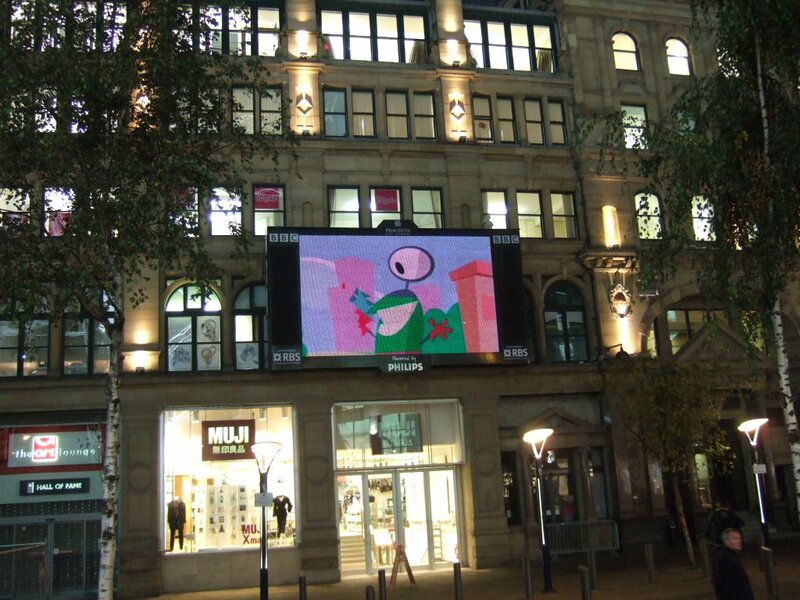 The Aliens cartoon on the big screen in Manchester...cool! This past week Ive had some fab design work to do. Loads of fun. I wish I could post them. Great blog buddy.. Loose and good colour sense drawing. That's a big telly indeed ! !